The NIGHTGLOW instrument consists of three telescopes (each has a 14" diameter mirror and a 19" focal length - an f/1.4 design) instrumented with two photomultiplier tubes (PMT). A PMT is a very sensitive device for converting light into an electronic signal. A filter is used to limit the light entering the telescopes to wavelengths between 300 - 400 nm - in the (invisible) near ultra-violet part of the spectrum. One of the three main telescopes looks down at all times, while the other two rotate and view the ground, the horizon and the UV glow at high altitudes (above the balloon at ~90 km). Flying at an altitude of about 30 km (100,000 ft), NIGHTGLOW will circumnavigate the world. 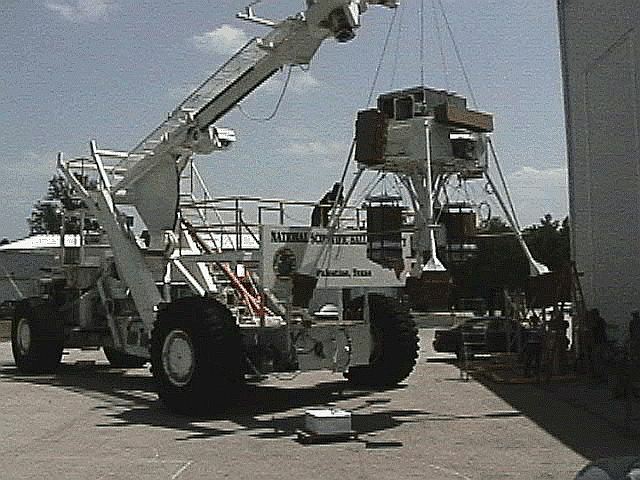 During the local night, NIGHTGLOW will use its three onboard telescopes to measure the amount of ultraviolet light produced in the atmosphere, as well as that produced by humans on the ground. 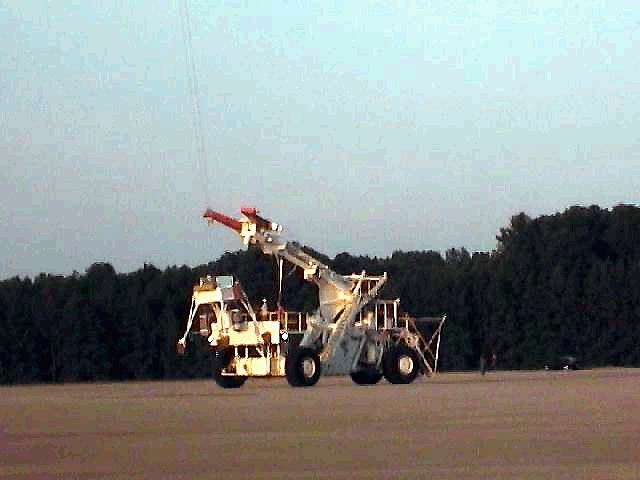 In addition, NIGHTGLOW has two cloud sensing systems onboard to monitor the amount of cloud cover beneath the balloon. One system measures the cloud's temperatures with an infrared camera, and the other system measures the cloud's reflecting properties with a blue laser. Combining the knowledge of the cloud cover and the light production, NIGHTGLOW will provide valuable data for scientists who are interested in measuring the very highest energy cosmic rays, particles of immense energy that come to us from outside our own Milky Way galaxy. These particles strike our atmosphere and create flashes of invisible ultraviolet light. NIGHTGLOW will help in the identification of these particle flashes, distinguishing them from the background ultraviolet light. 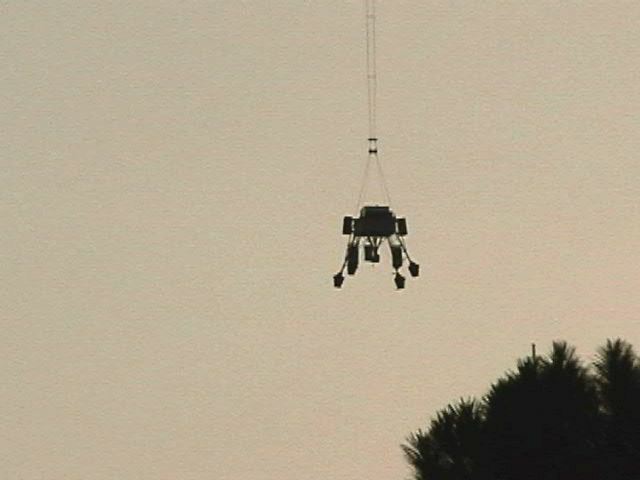 The balloon was launched by dynamic method using the launch vehicle ("Tiny Tim") on July 6th. 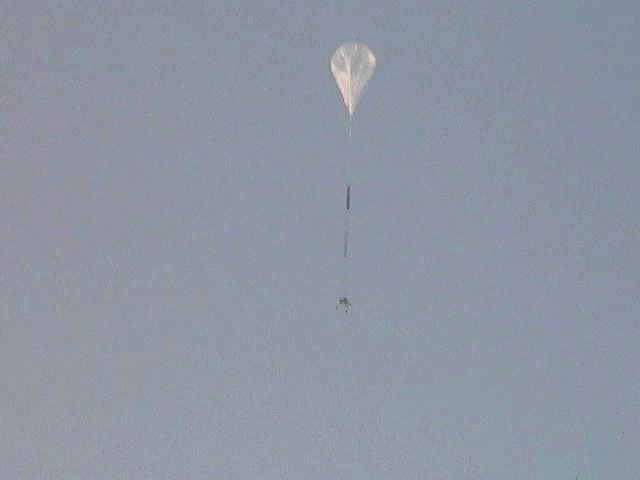 After a initial ascent phase, the balloon reached float altitude of 30.4 km, and started to flew to the west of the state. In the image at left can be seen the flight path (click to enlarge). 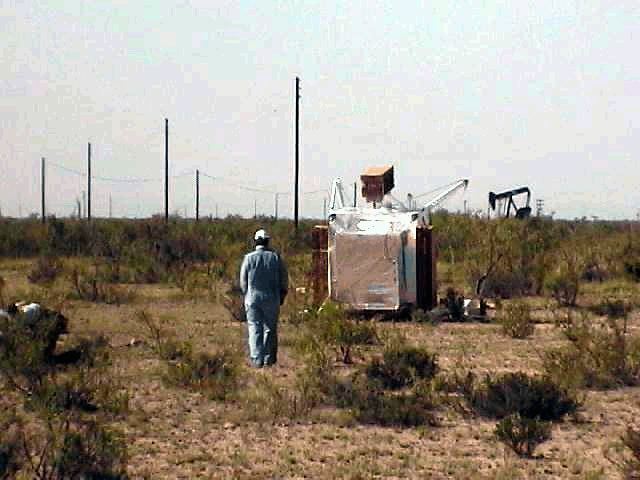 After near 9 hours of flight, the flight was terminated and the payload landed without damage near the small town of Stiles, Texas. This maiden flight for NIGHTGLOW collected a modest amount of data about the UV background, the goal was to test the echanics of the instrumentation in preparation for a global, long-duration flight in February of the following year from Alice Springs in Australia.